The need for capital stable investments, with a known rate of return within a well-balanced portfolio environment is not new. Whether it be to set aside money for a defined period in order to fund a property purchase, manage the liquidity of a portfolio in order to fund income streams, or simply as a place to park money temporarily whilst entry points into growth assets are sought (especially where markets are considered fully valued), cash products have long been embraced by Australian investors. The appetite for cash products has continued to remain strong, with data from the Australian Prudential Regulatory Authority (APRA) showing that there is over $2.2 trillion in cash in Australia. There are four genuine contenders for investors to consider in this space: Exchange-Traded Funds (ETFs), cash or enhanced cash based managed funds, annuities and term deposits – each with their own nuances when assessed against metrics such as performance, fees, ease of access / administration and customisation. Some investors may choose to manage their short to mid-term cash exposure via an ETF. These may be attractive from the standpoint of diversification as a small number of underlying bank exposures can be accessed from the one investment which can be purchased in much the same way as any other share. However, in exchange for this simplicity, there are trade-offs that investors need to accept. First and foremost, the rates available on term deposit / cash products held within an ETF tend to be lower than what is on offer to retail clients if they went direct to the bank themselves. This is because ETFs are often classified as financial institutions (with no ‘look through’ to the underlying retail investor) and will typically receive between ~40 and ~70bps less in interest due to the way that specific source of funding is classified by the Banks. The proof point here is the most recent 12 month returns. As at the end of August 2018 cash ETF products were showing 12 month returns in the 1.7% - 2.1% range. Then there’s the additional costs. ETFs still have ongoing expenses applied to them (typically 10bps – 20bps p.a.) as well as a bid / ask spread to consider, alongside the standard purchase / sale brokerage which further reduces returns. Against this, it is important to note that ETFs do benefit from ASX liquidity (depending on the number of market makers and underlying investor demand), however given the timeframes associated with breaking term deposits and the structure of the actual ETF, it is always prudent to check the product documentation to see what actually would happen should a significant number of investors choose to sell out of their position around the same time. Summary: These may seem straight forward but look for hidden fees and charges. In order to generate enhanced returns compared to standard at call cash funds (and potentially as an alternative to term deposits), some investors may prefer enhanced cash products (sometimes referred to as money market funds). Similar to any cash funds, enhanced cash funds are exposed to credit risk, term risk and liquidity risk. These generally imply the risk of losing capital from the default by security issuers, the changes in interest rates that adversely affect the price of the securities and the inability to convert the securities into cash without any loss of capital. Some of the riskier enhanced cash offerings even have exposure to mortgage backed securities, so even the definition of what belongs in an enhanced cash fund appears well and truly open for interpretation. It pays to closely check what your underlying exposures are as the risk inherent within the portfolio could be very different to other alternatives. Similarly to an EFT, and contributing to the lower returns that have historically characterised this investment class, investors need to be aware of fees eroding an already low return (typically in the 0.2% p.a. range, with a buy/sell spread of ~0.5%). Another key thing to remember is these aren’t tailored to each individual investor. You’re pooled together so your specific investments needs are lost in a group. Summary: if it seems too good to be true, it probably is. 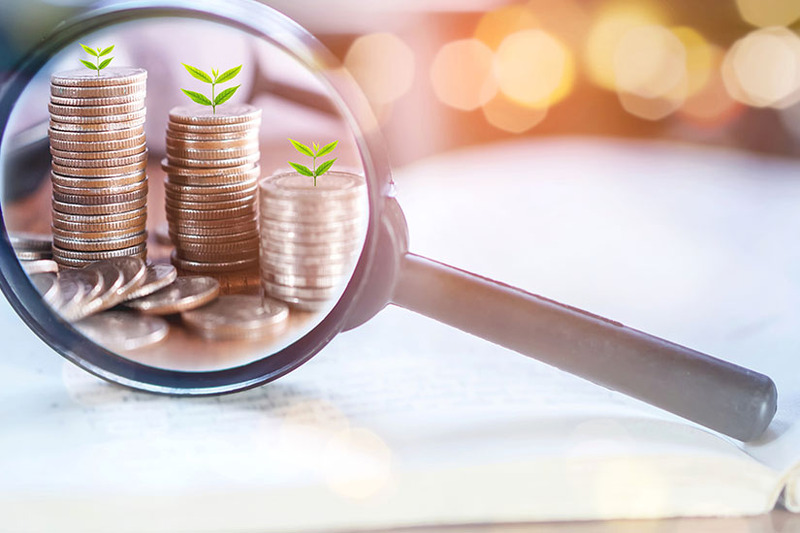 Annuities give investors an income stream for a defined period of time (or in some cases for life), are backed by Australian Prudential Regulation Authority (APRA) statutory funds and can be customised in certain ways. Annuity like products can also be held via managed investment scheme structures in order to avoid some of the complexity of the annuity product and also be available on traditional investment platforms. If held on a platform ongoing management fees will have an impact on the payments an investor receives from annuities. 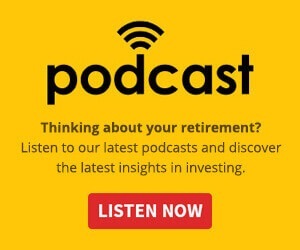 It is also important to highlight that the underlying asset allocation the investor is exposed to via the APRA statutory fund will be comprised of a combination of shares, property and fixed income securities, which begs the question, why not simply replicate the same asset allocation yourself (particularly if the allocation to this asset class is a permanent fixture in the portfolio)? If the annuity counter-party provider can guarantee a rate of return based on that asset allocation, as well as make a margin for themselves, what is the opportunity cost to you as the investor over the long term? Moreover, some annuity products can have penalties attached to them if the position is broken prior to term. This is a natural consequence of having more aggressive underlying exposures supporting the product compared to other more pure cash exposures. Summary: They’re a stable option, but do you want to pay someone else to allocate your money and reap the rewards? Of all the cash options, term deposits are the most transparent. What you see is what you get, there are no hidden or additional fees, and the amount, the term and the return is all laid out on the table before you hit the ‘confirm’ button. The spread of rates can be quite significant. This month alone, term deposit fintech Cashwerkz, saw rates ranging from 2.00% - 2.60% for 3 months, 2.00% - 2.75% for 6 months and 2.45 – 2.85% for 12 months. When looking at a $200,000 term deposit for 6 months, that’s a $1,200 difference. Term deposits are also notorious for attracting investors with honeymoon rates, then dropping them back down to below market average after a certain period of time, meaning to really maximise returns, investors need to switching banks at maturity, rather than just letting them role over, which so many of us do. Cashwerkz, a leading-edge Fintech company has developed a term deposit platform for investors who wish to maximise earnings on cash allocations, whilst simplifying the administration time to establish, transact and manage term deposits. Cashwerkz overarching priority and focus is on making the investor user experience more efficient by providing a platform which researches rates, completes ID checks, transacts, and manages maturities, all in the one place. And the greatest benefit for investors is the ability to switch banks, at maturity, with the click of a button. “In addition to special and exclusive rates to customers, Cashwerkz makes switching to a better rate at maturity as easy as rolling over. This is how we help investors maximise their cash returns, and we do it in a safe and transparent manner”, said Mr Ortiz. Cashwerkz will never touch, direct or be in control of investor funds – that is done directly by the investor from one bank to another . There is no cost to the investor to place a cash investment on the platform. Cashwerkz facilitates the application process with the term deposit provider and is remunerated directly by the provider. And with transparency as a high priority, the interest rates displayed on the platform is the rate the investor receives, with no hidden fees or charges.